Cicoil’s Cat 6A Ethernet Cable meets the increased demands of professionals who need a rugged, flexible and high performance Ethernet cable solution. Cicoil’s patented extrusion process allows individually shielded, twisted pairs to be placed in a flexible flat profile for high speed data transmission, with exceptional EMI/RFI suppression. 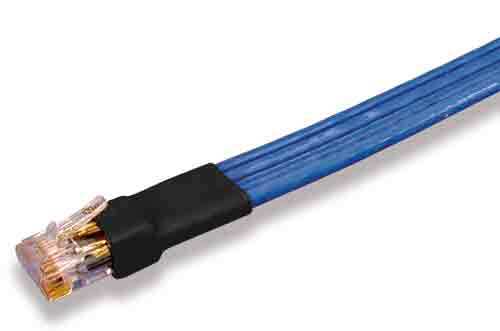 Cicoil’s Cat 6A Flat Cable delivers the ultimate in electrical performance, extreme ruggedness, and a Flex rating of over 10 Million cycles.